Frankfurt - 'Mainhattan' and Its Unmistakable Skyline Frankfurt enjoys an international reputation as a financial center and trade fair city. In addition to the European Central Bank, many major German banks are based in the city. But it is not just the countless business travelers who visit this city with its unique skyline - Goethe's city on the Main River also offers an unforgettable stay for tourists interested in cultural attractions. The most famous attractions in Frankfurt include the Old Opera House, the Zeilgalerie shopping mall and the Senckenberg museum. Many of the tourist attractions are located in the city center or within easy reach, so visitors can easily do all of their sightseeing in Frankfurt on foot. 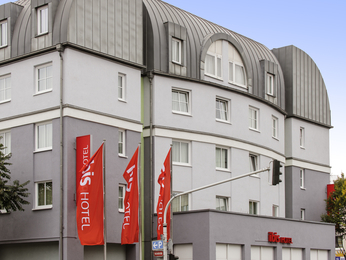 Book a hotel near the center of Frankfurt and you will not need to travel far for shopping or sightseeing. 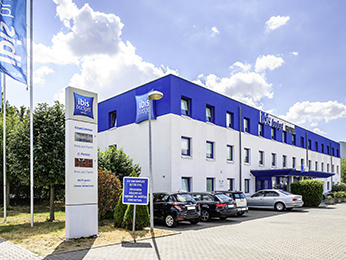 Our Hotels in Frankfurt and Major Attractions Of the many AccorHotels in Frankfurt, quite a few are in the immediate vicinity of Frankfurt main train station - perfect if you are looking for accommodation close to the city center. These hotels in Frankfurt are also ideal for business travelers and trade fair visitors as the exhibition center is nearby. Whether visiting Frankfurt as a tourist or on business, a visit to the world-famous Main Tower is a must. This impressive skyscraper stands 656 ft. (200 m) tall. The 53rd floor houses a restaurant offering culinary delights and a breathtaking view over the city. Culture vultures should be sure to visit Goethe's birthplace, the Goethe House, which is just a stone's throw from our hotel. The Old Town begins just behind the Goethe House and is a hive of activity around the clock. On a warm summer evening, don't miss the opportunity to sample the famous Äppelwoi cider in the open air. Frankfurt Area – UNESCO World Heritages sites Not far from Frankfurt people can admire a piece of the once impressive Roman border wall, the Upper Germanic - Rhaetian Limes. This wall, together with the Hadrian's Wall in Britain, formed the gigantic border of the Roman Empire. Furthermore, the Roman fort in Saalburg is only half an hour drive away from Frankfurt city center. Next to the museum people can examine the remains of the border wall who was once built as a defense against the “barbarians " The Frankfurt Motor Show (IAA) Popular events in Frankfurt include the numerous trade fairs, which attract many thousands of visitors each year. The Frankfurt Motor Show (IAA) is particularly popular with the public and was held over 650 times over the years. 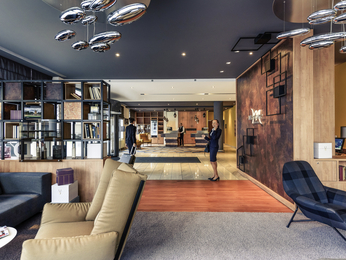 AccorHotels - Benefits of Our Hotels in Frankfurt Our hotels in Frankfurt - whether at the airport, near the exhibition center or in the city center - are not only first choice for business travelers: Families will also feel at home and enjoy a relaxing stay. Many AccorHotels are particularly child friendly: A child can sleep in their parents' room free of charge and children's breakfast is also free. A general rule when booking on AccorHotels.com: Book early, pay less. Whether traveling for business or as a tourist, book at least 30 days in advance to save up to 30%. And there is yet another advantage of booking early: You are very likely to get your room exactly when you want, in the hotel you want. Further benefits are available to our guests with the Le Club AccorHotels loyalty program. Earn valuable loyalty points and spend them on your next booking!